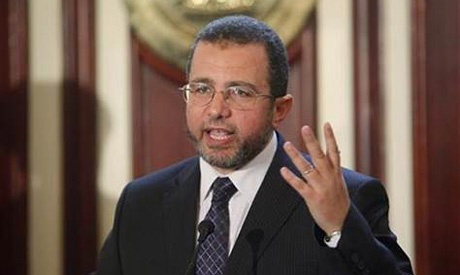 A Cairo court has accepted the appeal presented by ex-prime minster Hisham Qandil and reversed his one-year jail sentence. In September 2013 the Cairo Misdemeanour Court upheld a ruling against Qandil sentencing him to one year in prison for failing to implement an administrative court's verdict ordering the re-nationalisation of the Tanta Flax and Oil Company. Qandil's attorney Yasser Mohamed Abdou told Ahram Online that the appellate court's verdict was final and could not be appealed, adding that his client was not implicated in any other cases and that his release was expected. Ahmed El-Beqaly, attorney general in North Giza, confirmed Abdou's comments, saying that Qandil will be released once the court verdict is sent to the prosecution office – unless he is on trial or being investigated in other cases. A legal source in the appeals court also told Ahram Online that the prosecution cannot appeal the court ruling against Qandil as this is the final appeal. Qandil was appointed Egypt's prime minster by deposed Islamist president Mohamed Morsi in August 2012 and remained in office until Morsi's ouster on 3 July. He was arrested in December 2013 during what the interior ministry described as an attempt to flee the country to Sudan. It's premature to judge what's happening in Egypt, I can only say from what I observed this summer when I visited this country, that the justice system being used only to silence any political opposition in this country. Otherwise, criminals and law crooks have free hands to do what they like under the nose of its government. Examples are the sky scrapers being built everywhere in narrow lanes which turned streets into tunnels, with no sunlight, air, sufficient water, sewage or space for traffic for these communities. One wonders why municipal laws are being violated in this country which is being ruled by executive orders throughout its history. Congratulations Mr. Qandil, great news!! I'm glad Mr. Qandil successfully defeated Egypt's corrupt prosecutors and incompetent misdemeanour court by overturning the unjust sentence against him. The dissatisfaction and disappointment of such posters as Allen and Democracia is an added bonus to this article's celebration-worthy news. Now that Mr. Qandil has rightfully cleared his name, all that's left is for him to sue the state and be compensated for his unjust detention since December to deter prosecutors from trying to pull another stunt like this on other innocent people. Job well done by his lawyer, Mr. Yasser Mohamed Abdou. I'm not a member of the MB but I definitely am a supporter of the oppressed, unlike yourself, you're probably a member of the police/military or just part of the blind herd of sheep supporting their criminal endeavours. No one spews more contradictory meaningless rants than you do. You call an innocent man spending 7-months in prison on a bogus 1-year sentence justice? This is your view of a competent, non-corrupt justice system? The reality in Egypt is clear as day. Thousands have been imprisoned with numerous mass death sentences being handed in a shameful ultimately unsuccessful attempt to silence political opposition. Describing the system as corrupt in Egypt is frankly an understatement. Those killing Egyptians and burning the country are the same who perpetrated the massacre at Rabaa Al-adawiya and several other similar incidents, mainly the military and police. They are the real killers and their supporters, such as you, are disgraceful. No one is blinder than those who fell for the lies widely distributed by the media and the orchestrated power cuts and fuel shortages which magically disappeared the day after the coup. Now the power outages are actually real, a result of years of corruption and complicity of Mubarak's regime (which Sisi hails from) with the real terrorists, the Zionist occupiers of Palestine. Hamas are heroes and freedom-fighters and the MB are a group who've suffered a great injustice. Yet many Egyptians glorify and support the real criminals/terrorists in both Egypt and occupied Palestine because they’re blind sheep, and you're no exception. Since you mentioned hell-fire, let's just say I don't want to be anywhere near you on the Day of Judgement. Surprise... A Muslim brotherhood contradicting himself in a meaningless rant. If the system is as corrupt, incompetent, and unjust as you claim it is... Your buddy Qandil would not see the light of day outside his prison regardless what gimmicks his lawyer performs. So your false claims about the legal system does not match reality, which is imminent release. This chap should be watched closely. Any acts of support for the Muslim brotherhood terrorists should place him back in a secure jail.